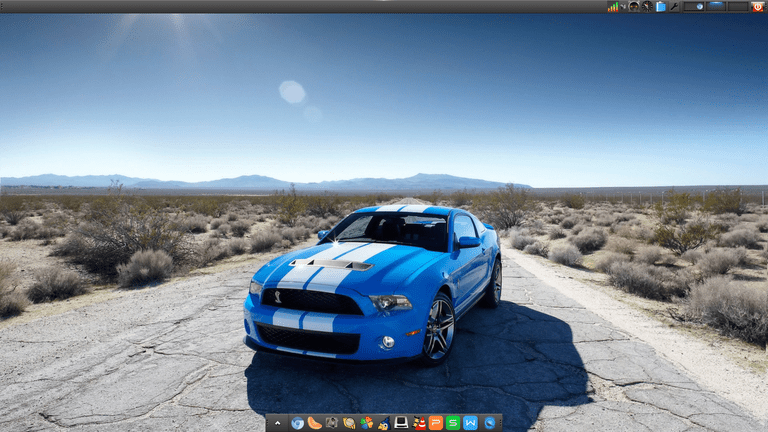 Bodhi Linux is a really nice distribution based on Ubuntu but with a focus on being lightweight and unbloated. Up until the latest version Bodhi was developed on top of the Enlightenment desktop and the 3.0 version shipped with E19. Due to issues with the E19 base the Bodhi developers made what must have been a difficult decision to fork the E17 code base and develop it as a new desktop environment called Moksha. Existing Bodhi users will see little in the way of change at this moment in time because there is very little difference between Moksha and E17 at this stage. How does the latest version measure up? Read on and find out. Installing Bodhi Linux is straight forward enough. Click here to read my guide to installing Bodhi Linux. The installer is the same one used by Ubuntu. When Bodhi loads for the first time the Midori web browser loads with a quick start guide. The guide includes sections on using the Moksha desktop, installing software, the "Run Everything" tool and "Frequently Asked Questions". If you close the browser window you are left with a dark wallpaper with a single panel at the bottom. The panel has a menu icon in the bottom left corner with an icon for the Midori browser next to it. In the bottom right corner there are a series of icons for audio settings, wireless network settings, workspace selector and the good old fashioned clock. You can bring up the menu either by clicking on the menu icon on the panel or by clicking with the left mouse button on the desktop. The Moksha desktop as with the Enlightenment desktop takes some getting used to. Bodhi itself is fairly straight forward but the documentation for the desktop is lacking somewhat at the moment and there are features that just don't have any explanation as to what they do especially when it comes to customising the desktop using the settings panel. The Quick Start guide provides instructions for connecting to the internet. One thing I found was that when I selected the wireless network it wouldn't connect. I had to click on the edit connection menu option and then enter the security key. After that I was able to click on the wireless network and it connected correctly. This behaviour is different to how it worked in version 3.0 and indeed mmost other distributions. Other distributions ask for the security password when you click on the wireless network and then connect without having to choose edit connections. Part of the Bodhi philosophy is to let the user decide what to install on their system. With this in mind there are hardly any applications pre-installed. The Midori browser is included in order to display documentation and to provide access to the App Center. Other than that there is a file manager, the eeeUpdater tool for updating your system, the Terminology terminal emulator, a screenshot tool and a text editor. This has always been my favourite part of Bodhi Linux. If you have ever read any of my previous reviews you will appreciate how much it annoys me when a package manager doesn't include all of the applications in the repositories. The strange thing is that the way Bodhi does it works. Rather than having dozens of applications in each category, the Bodhi team have selected just a handful of really useful applications. For users that are new to Linux this is a great idea because sometimes in life less really is more. The "Web Browsers" category for instance simply includes "Chromium" and "Firefox". There are literally dozens of other choices that could have been added but most users would agree either Chromium or Firefox suffices. To press the point home somewhat the Disk Burning tools include XFBurn, K3B and Brasero, the Multimedia section includes VLC, Clementine, Handbrake, qAndora (Internet Radio) and SMPlayer. The App Center is almost a "Best Of Linux" software centre. Obviously people will disagree with some of the choices but on a whole I see this as positive. What I also see as positive is that the developers haven't just thrown this straight into the original ISO. It is up to you as the user whether you install each and every application choice. Clicking on a link within the App Center opens up the eSudo application which shows a brief description of the application and an install button for installing the application. The only strange omission is Steam. Why is this strange you might ask? Well, the alternative graphical tool for installing software is Synaptic (which you have to install from the App Center). If you search for Steam within Synaptic an item is returned not just for Steam but for Bodhi Steam which means some effort must have gone in to making a special package for the Steam Launcher. As effort has gone in to package up the Steam Launcher why not add it to the App Center? If you prefer to use the command line to install software you can use the Terminology terminal emulator and apt-get. Bodhi provides a package which makes it possible to install all the multimedia codecs, drivers and software required to play MP3 audio, play DVDs and watch Flash videos. I encountered a major issue whilst trying to dual boot Bodhi Linux with Windows 8.1. The Ubiquity installer failed when it came to installing the GRUB bootloader. I ended up having to install the bootloader manually. Installing Bodhi on its own on the UEFI machine or installing on a machine with a standard BIOS caused no issues. There are a number of things you can do to customise your desktop within Bodhi. You can change the wallpaper, add panels, add icons to panels and you can change the default theme. The App Center has a couple of themes available as well as the ones that come pre-installed. After installing the theme all you have to do is select it from the "Settings -> Theme" menu option. The above screenshot shows what can be achieved by installing a nice desktop wallpaper, selecting a good icon set and positioning panels sensibly. The Enlightenment desktop is supposedly lightweight in nature and Bodhi has very few applications installed at startup. After I closed down Midori I ran htop within Terminology. Running htop showed 550 megabytes used. The "Run Everything" tool opens up a dashboard style panel which makes it easy to navigate your applications. windows, settings and plugins. It is worth adding this to your panel as an alternative way of finding your way around the system. Lets start with the new Moksha desktop environment. New users might find that Moksha is a bit of a challenge and it isn't quite as mature and stable as XFCE, MATE or LXDE. That may be obvious because Moksha is new but it isn't completely new. It is basically Enlightenment's E17 desktop rebranded. Once you get used to Moksha you will begin to enjoy using it and there are so many tweaks and customisable features that you can really make it work the way you want it to. Moksha, like Enlightenment just feels a little bit clunky. There are keyboard shortcuts to help you do things quicker but they won't rock your world. I like it that Bodhi doesn't install a load of applications for you that you either have to ignore or remove. instead it provides a list of applications via the App Center that the developers think would be suitable. In general I was happy with the list of applications provided within the App Center. Midori as a web browser just doesn't really do it for me. I think it is included because it is lighter than Chromium or Firefox. Check out my list of the best and worst Linux web browsers. Despite some little quirks I have always enjoyed using Bodhi and it has spent more time as the resident distribution on my laptops and netbooks than any other distribution. It is worth noting that there are Bodhi variants available normal PCs, Chromebooks and the Raspberry PI. The App Center has a number of themes available. After installing the theme all you have to do is select it from the "Settings -> Theme" menu option. I found the default theme a bit too dark for my taste and so I went for the one above which is the same one I used within Bodhi 2. After I closed down Midori I ran htop within Terminology. Running htop showed 453 megabytes used. Lets start with the Enlightenment desktop environment. I am not the biggest fan of Enlightenment. I am not sure what it gives me that XFCE, MATE and LXDE don't. I would say all three of these desktops are easier to customise that Enlightenment. It isn't that Enlightenment isn't usable, it is that it is a bit clunky. There are keyboard shortcuts to help you do things quicker but they won't rock your world. I like it that Bodhi doesn't install the applications for you and that instead it provides a list of applications via the App Center that the developers think would be suitable. In general I was happy with the list of applications provided within the App Center. Midori as a web browser just doesn't really do it for me. I think it is included because it is lighter than Chromium or Firefox. All in all Bodhi is still a decent distribution and I think it would work well on older hardware or netbooks. I wouldn't personally run it on my main laptop as I now spoil myself with GNOME 3 and I don't think there will ever be a day where I consider Enlightenment a better choice. It is worth noting that there are Bodhi variants available not just for normal PCs but also for Chromebooks and the Raspberry PI. It is also worth pointing out that an article on the Bodhi homepage states that it will be using a different desktop based on E17 for the next release due to issues with E18 and E19.